I will freely admit that until recently I hadn’t come across Saltrock T-shirts and Clothing but when they got in touch to see if we’d like to receive some of their t-shirts for review I jumped at the chance. 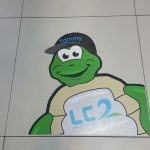 You see, I had a good rummage through their website when they got in touch and was immediately drawn to the huge range of t-shirts they have for the whole family. 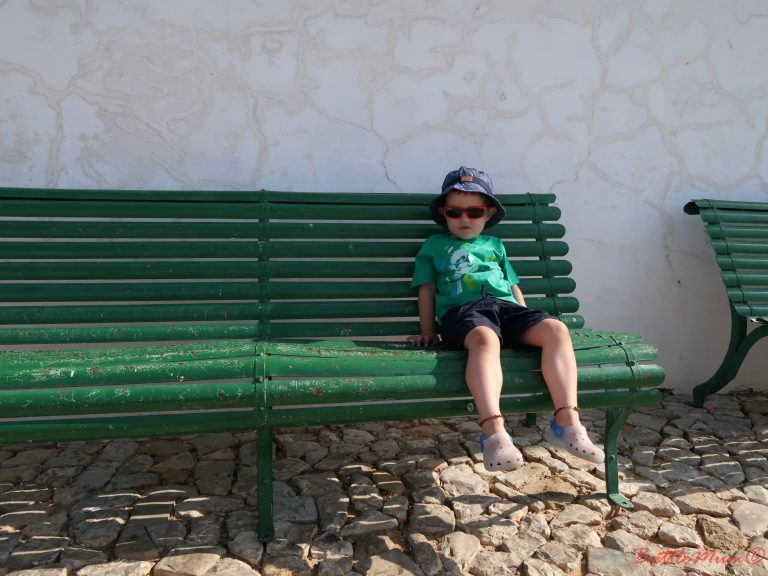 We picked out some t-shirts for all of us, placed our order and then patiently waited for them to arrive in Portugal via a very good friend of mine who agreed to act as intermediary. And when they arrived just over a week ago I was beyond excited. Firstly, because it was my first blogger mail here in Portugal and secondly because I couldn’t wait to open the parcel and see what the t-shirts were like in real life. I had been so impressed by the range of styles and colours that I hoped they lived up to my expectations when we got them in our hands! 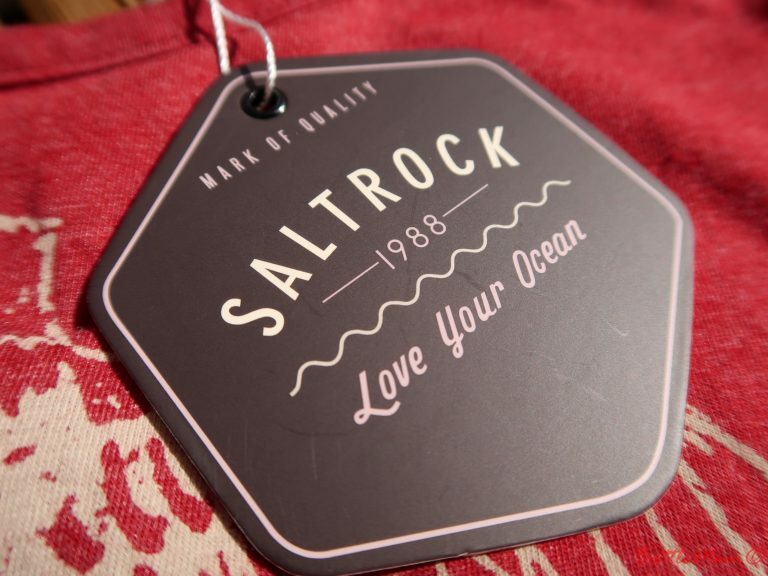 Saltrock Clothing was started in the late 1980’s by two South African brothers who, travelling the world, ended up in Cornwall seeking ‘waves’ and they never looked back. Running short on funds they started using their creative minds to print original, surf-inspired designs and gathered a loyal following from the South West surfers. The brand soon grew and is now a well-recognised British brand that is loved throughout the surfing community and beyond. 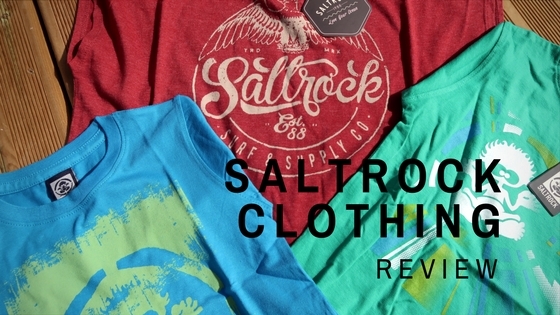 The first thing that struck me upon opening our parcel was the bright colours and the quality of the Saltrock t-shirts. 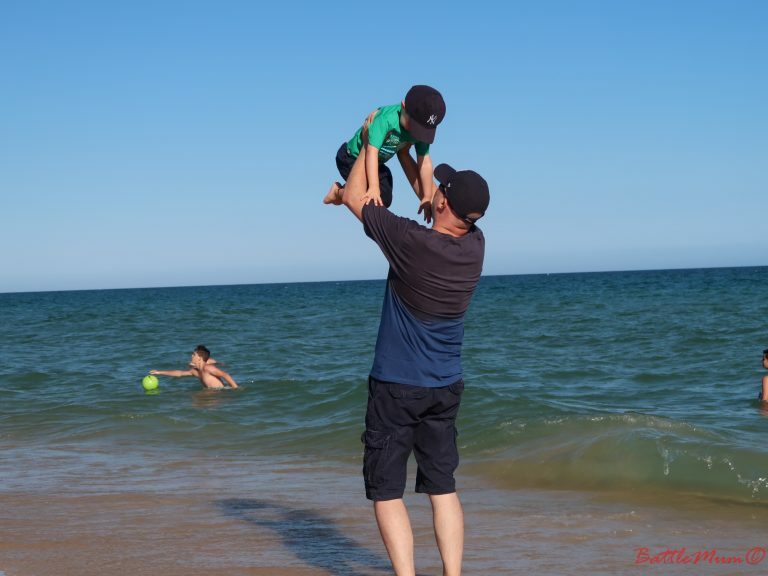 They feel really good quality and are made mostly from 100% cotton, which is a must for me now we’re based in Portugal. The designs on the front were great too and I couldn’t wait to get out with BattleKid to model them. And we did just that. 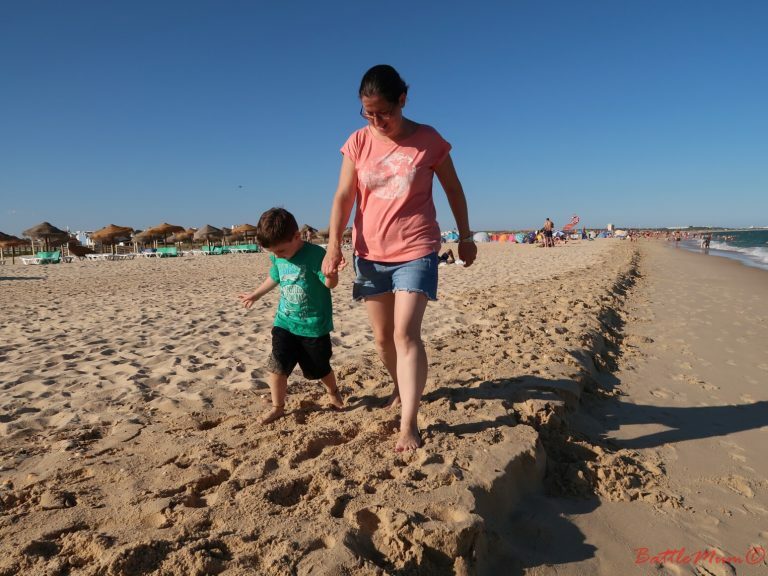 BattleKid and I first wore one of our Saltrock t-shirts when we went to discover our first beaches here in Portugal early one morning. We went early so we could avoid the hot sun later in the day and I have to say I love Saltrock Clothing. The t-shirts are true to their size, if even slightly big and are so well suited to summer especially. 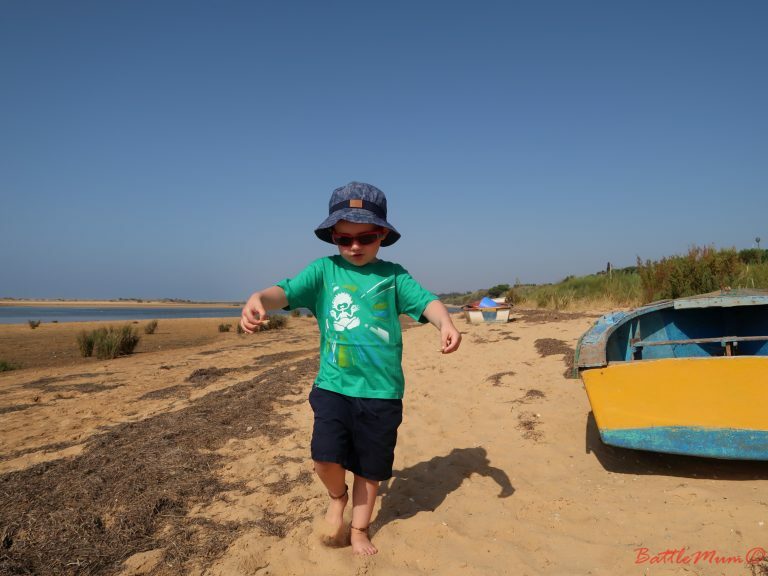 We had fun discovering Fabrica beach in our new t-shirts. 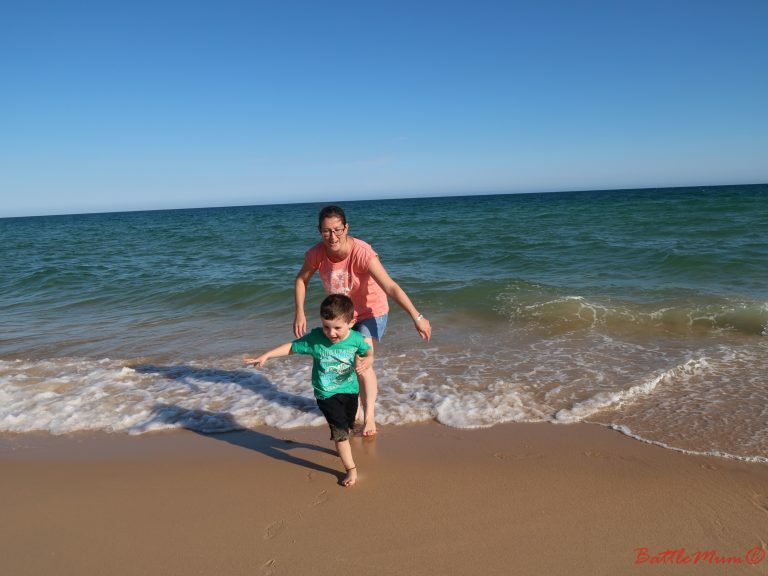 As a family we have also worn our Saltrock t-shirts to another beach this week at Manta Rota. This time we all wore one of our t-shirts and even BattleDad is well impressed with them. He thought his looked a bit big but it fitted him really well in fact. 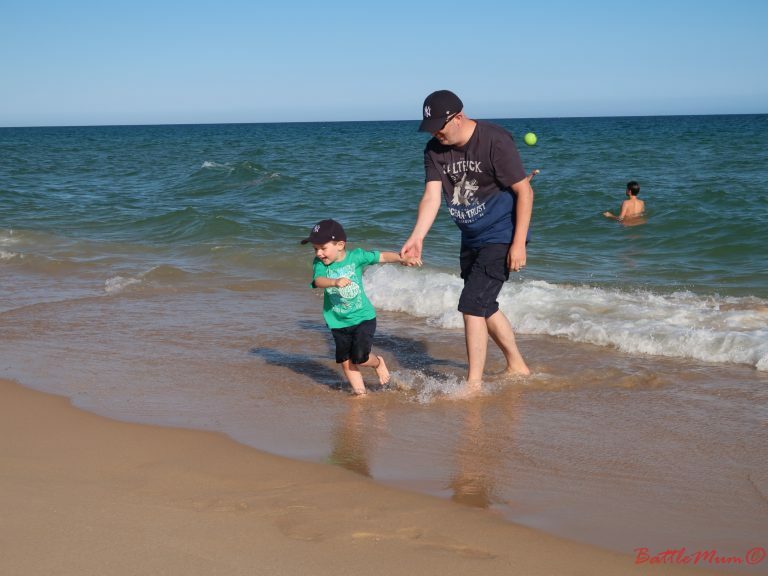 We had fun on Monday evening at the beach in our new Saltrock t-shirts. So far, our t-shirts have been washed once but they washed well and on a first wash did not lose any colour or shape, which is great. I’ll update this if necessary after more washes but I doubt I will need to. Great range of colours, designs and sizes for the whole family. Sizings are true, if slightly big. T-shirts are either 100% cotton or a high percentage cotton/polyester mixture. Great for summer and beyond. Surf-inspired designs look great on the beach! 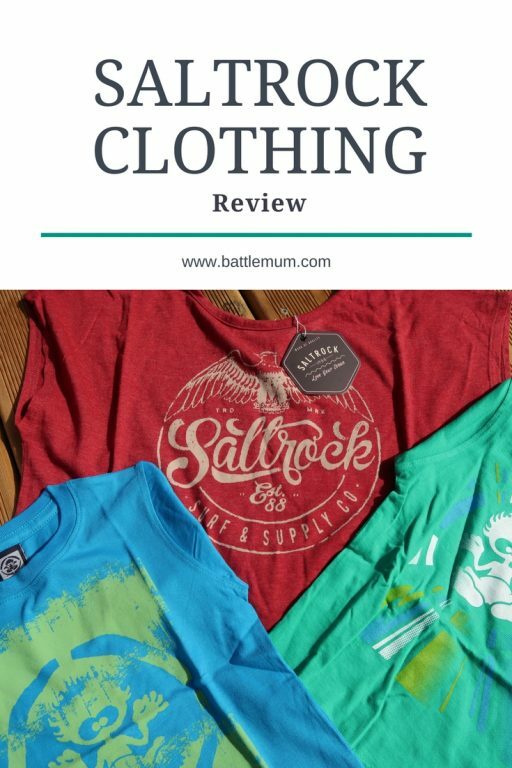 We ordered some Saltrock t-shirts from the boy’s t-shirts range for BattleKid, from the women’s t-shirts range and from the men’s t-shirts range for BattleDad, proving they are a brand for the entire family. These t-shirts look great, feel great and are very comfortable. 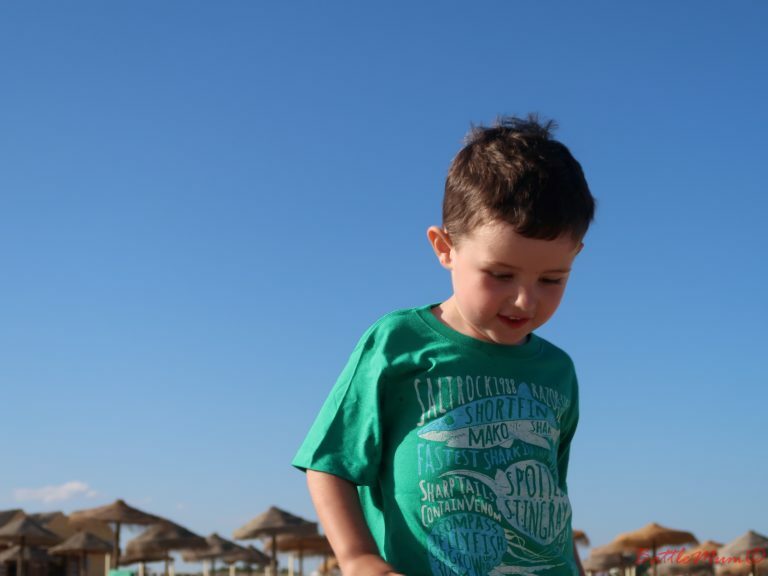 Teamed with a pair of shorts and flip flops they complete the perfect summer beach outfit. I am so happy with the t-shirts we received from Saltrock. 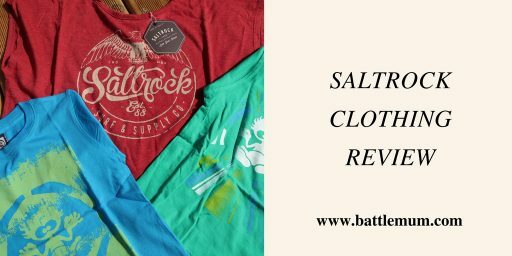 I’m also thrilled to find a British clothing brand that speaks both quality and fun and I think we’ll be ordering from Saltrock again. I cannot recommend Saltrock t-shirts and clothing enough. 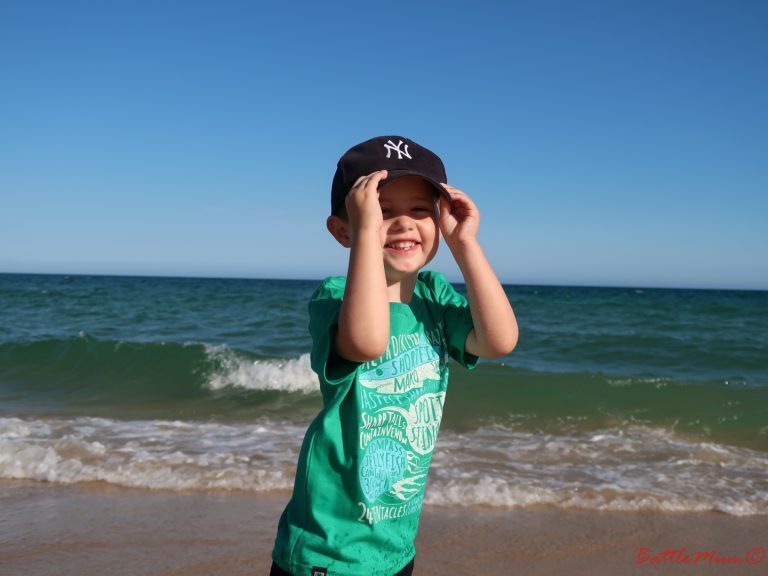 The Battle Family have been very impressed with the t-shirts we have received and we’ve had a great time modelling them at the beach for this review. No doubt they will be well worn this summer and for a long time to come. 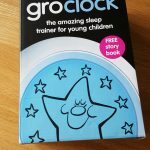 And what’s more, Saltrock are offering all my readers 10% off any order placed using the unique code below! And, they regularly have promotions and sales on their website so you could combine the two for a great bargain. So, what are you waiting for? Click the link below to get your unique 10% off code and check out Saltrock for yourself! 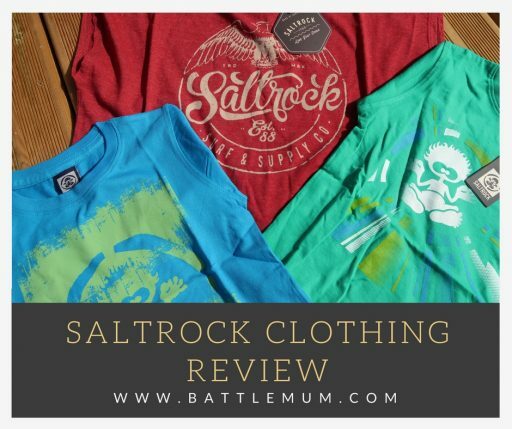 *We were kindly sent an e-voucher to spend at Saltrock Clothing to receive some products for the purpose of this review. However, as always, these are my own honest thoughts and opinions of the products. 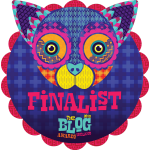 **This post contains an affiliate link in the form of the unique code. This means that I will receive a small percentage of any sales generated through the use of this code. This does not effect your shopping experience or the price you pay. These look like really good quality and the colours are nice and bright! As soon as I saw these t- shirts I thought of Cornwall. Battle Kid looks like he’s having fun too! These look like good quality T-shirts. Love the bright colours! The tshirts looks great. I always love receiving quality blogger mail.